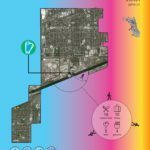 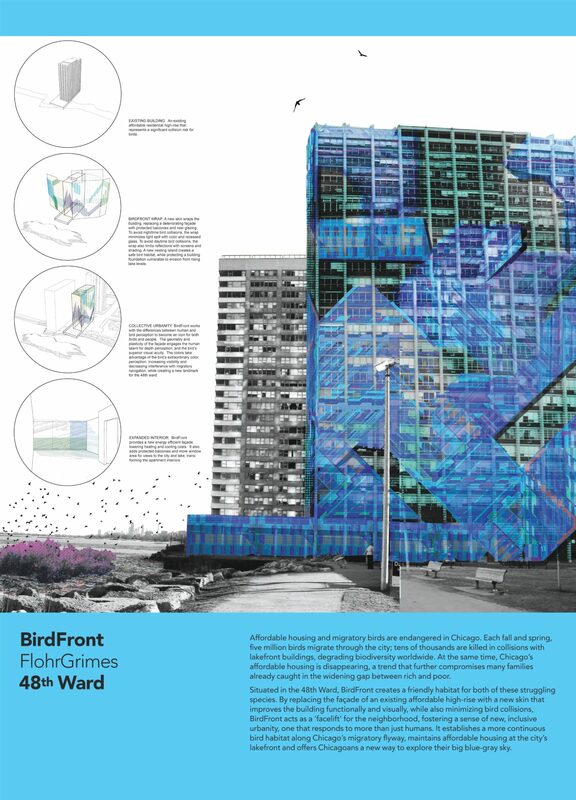 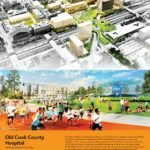 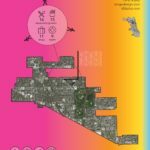 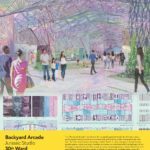 In celebration of the Chicago Architecture Foundation’s 50th anniversary, the Foundation is hosting an exhibition titled 50 Designers, 50 Ideas, 50 Wards which features unique architectural and urban design proposals born for each of Chicago’s 50 wards. 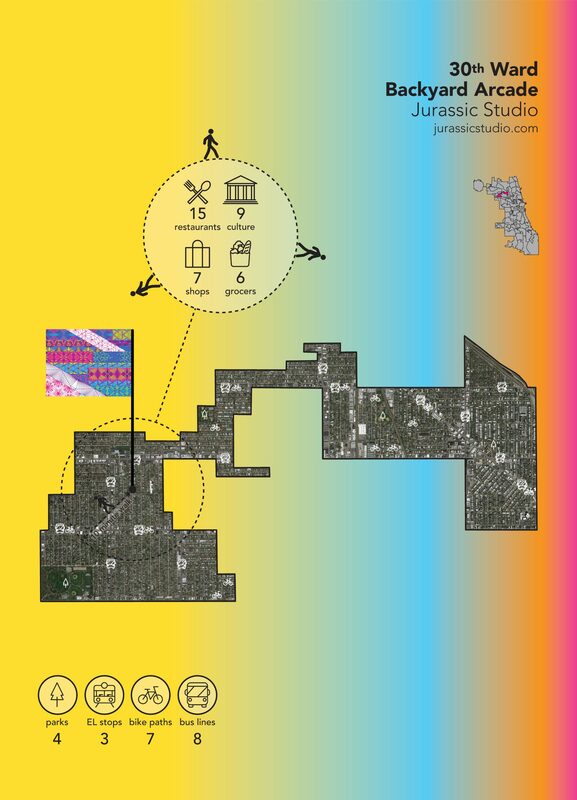 The exhibition is currently on display at the CAF Atrium Gallery. 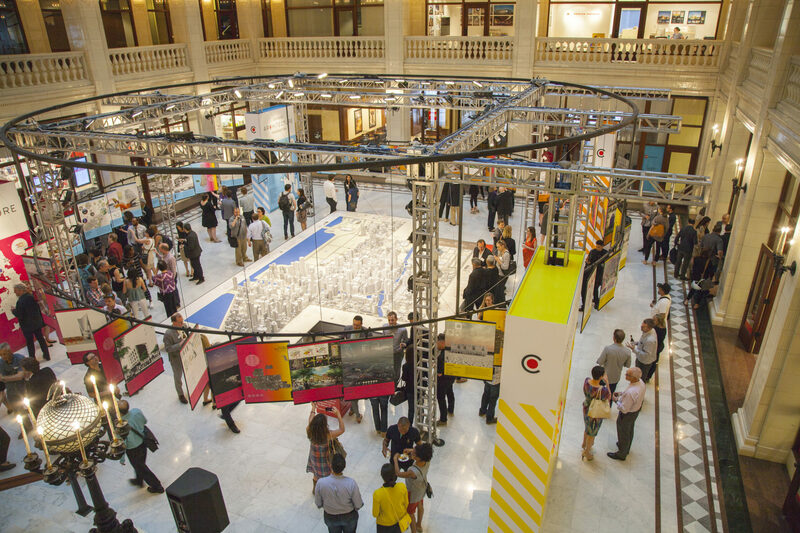 In preparation for the exhibition, 50 different Chicago-based designers, artists, and architects analyzed all aspects of the city, including buildings, roadways, waterways, other infrastructure systems, and even vacant lots. 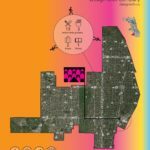 From this, they each produced one unique proposal for each ward. 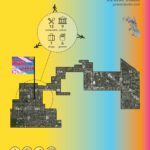 The proposals are split into four categories: Gather, Reclaim, Dwell, and Activate. 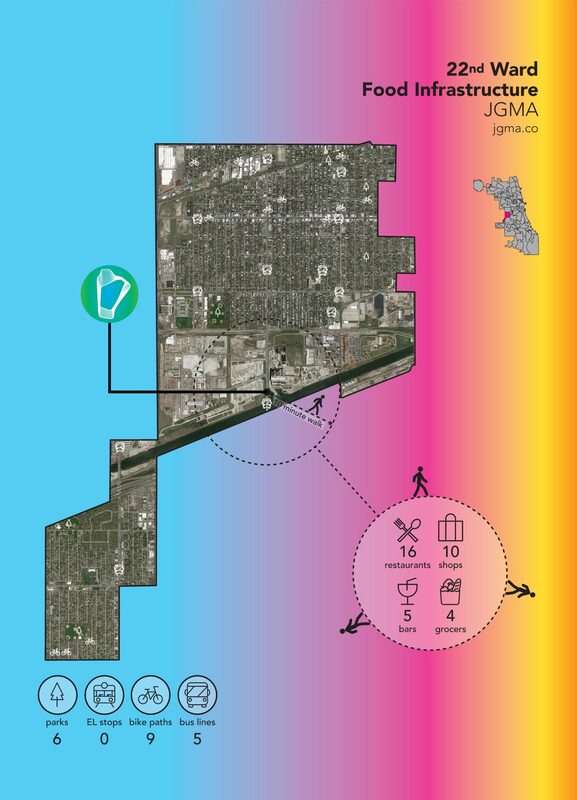 These categories address the themes of public space activation, economic activity stimulation, pop-up/temporary interventions, and quality of housing improvement, respectively. 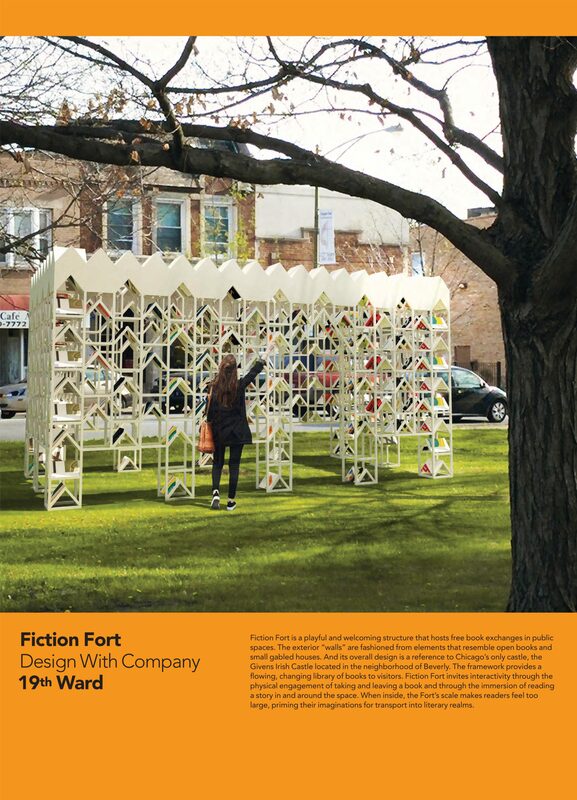 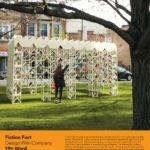 For example, Fiction Fort, in the Gather category and by Design With Company, is a small pavilion used to house a free public book exchange in the 19th Ward. 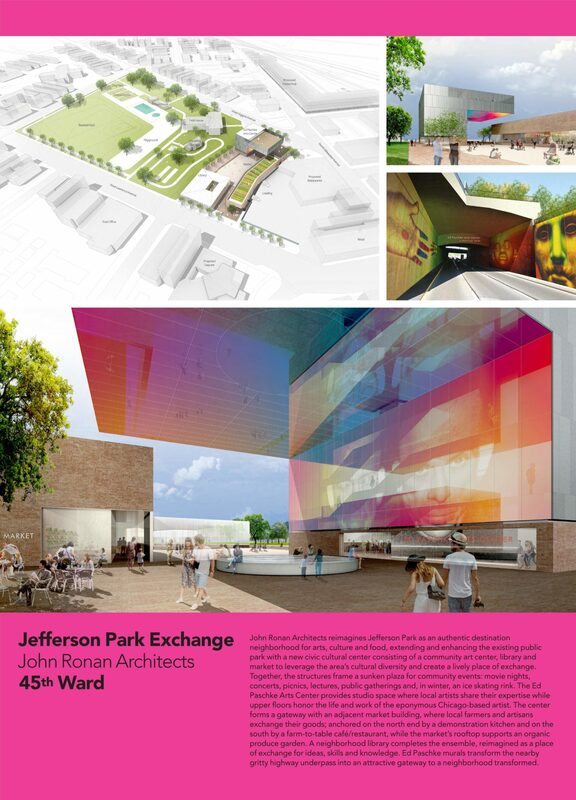 The proposal notes that, “[t]he exterior ‘walls’ are fashioned from elements that resemble open books and small gabled houses,” facilitating a physical experience when exchanging books. 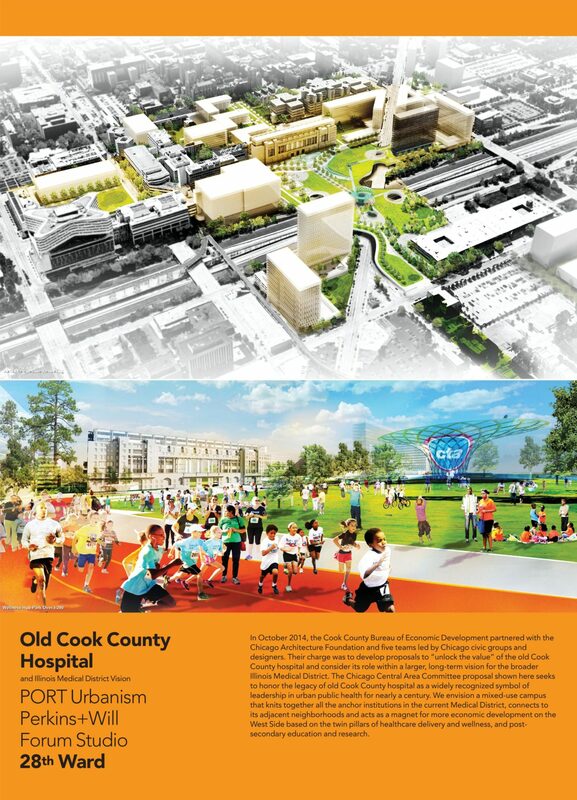 The design echoes the Gothic style of Givins’ Irish Castle (Beverly Unitarian Church), a prominent building within the ward. 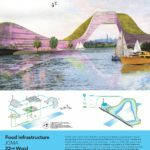 One Reclaim proposal is Food Infrastructure by JGMA. 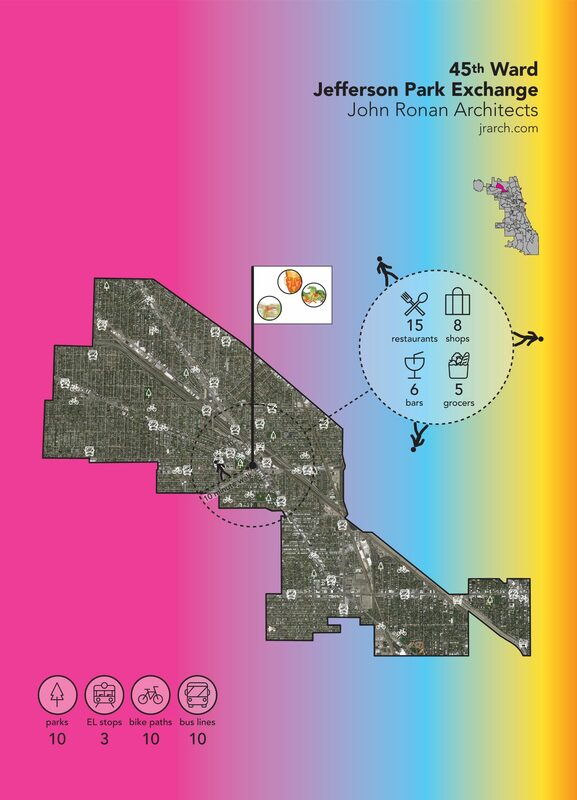 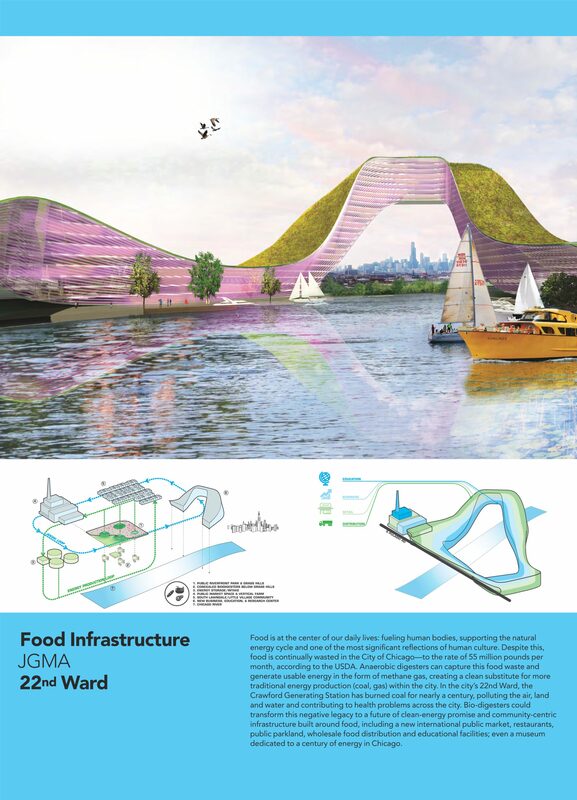 This proposal for the 22nd Ward addresses the problem of food waste in Chicago. 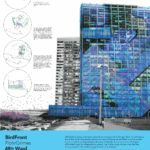 The design calls for transformation of the Crawford Generating Station, a coal-fired power plant in the ward, into a biodigester that would harvest the methane gas of wasted food. 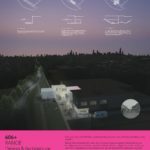 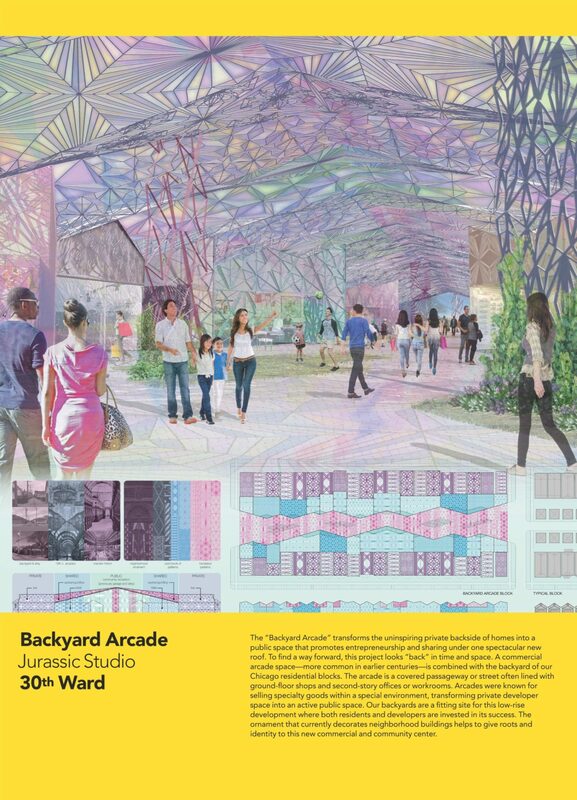 Jurassic Studio’s proposal for the 30th Ward, Backyard Arcade, is a commercial and communal space in the Dwell category. 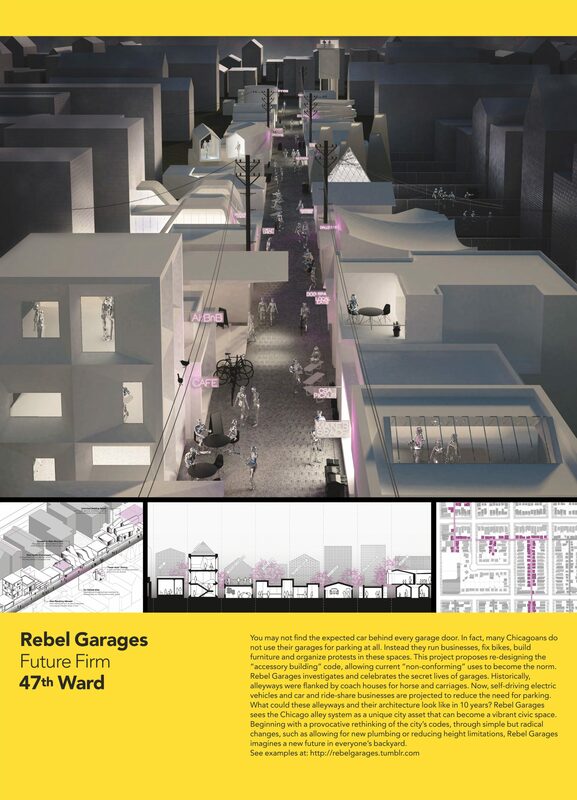 The design transforms the backsides of residences into a “commercial arcade.” “The arcade is a covered passageway or street often lined with ground-floor shops and second-story offices or workrooms,” the proposal describes. 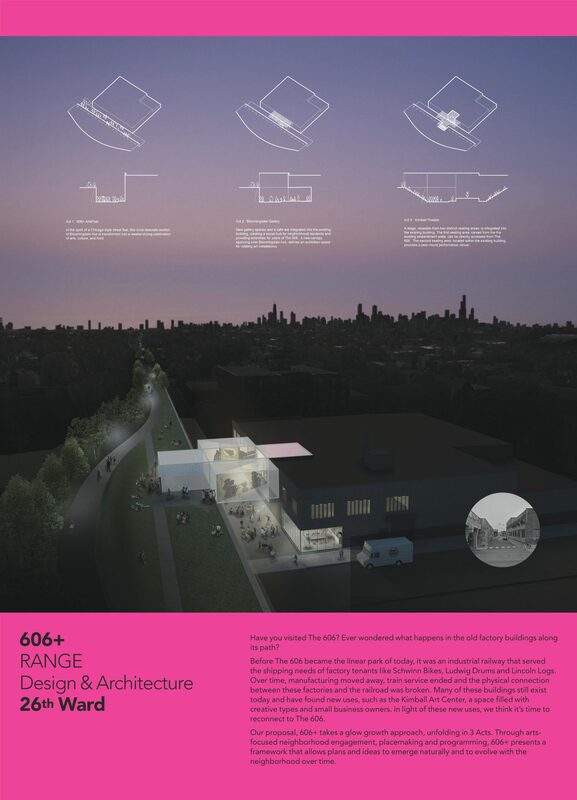 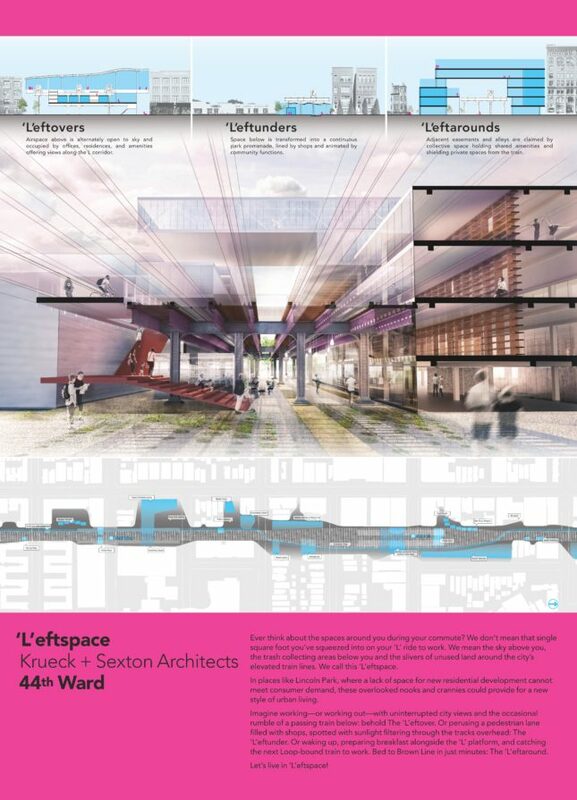 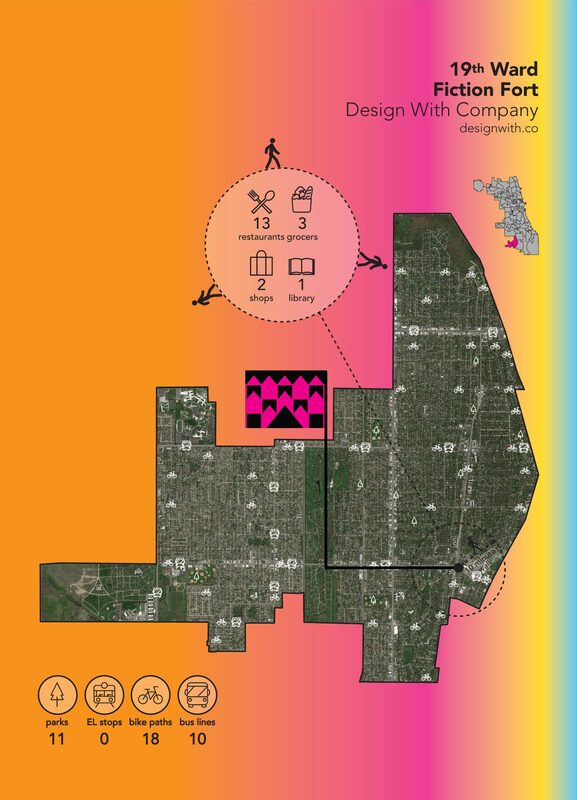 In the Activate category is 606+, a design by RANGE Design & Architecture for the 26th Ward. 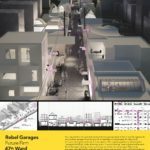 While vague in its proposal, the design looks to adaptively reuse industrial buildings and spaces along The 606, a linear park that was created from an abandoned railroad. 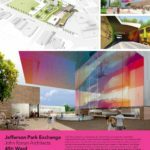 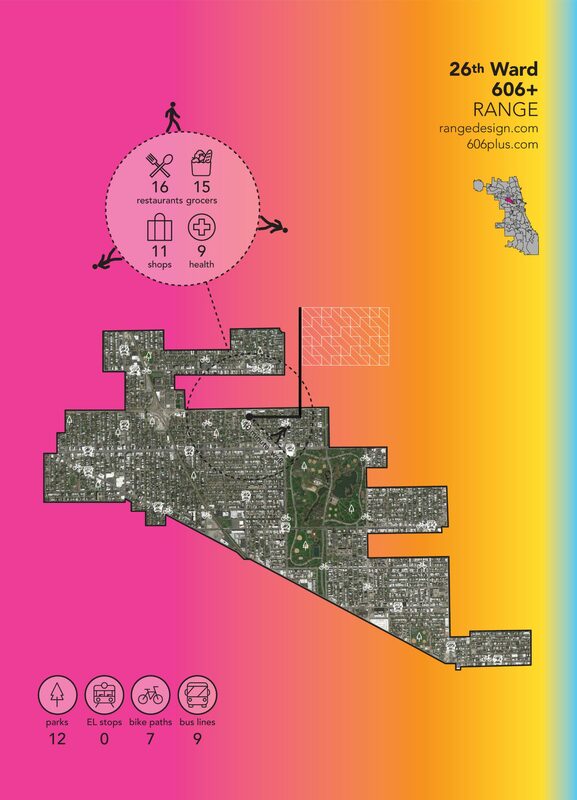 The proposal consists of “3 Acts”: 606+ ArtsFest, a public festival space; Bloomingdale Gallery, an art gallery; and Kimball Theater, a community performance area. 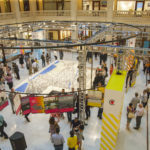 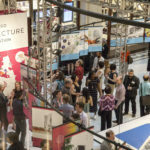 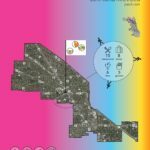 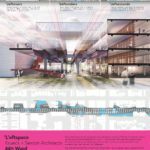 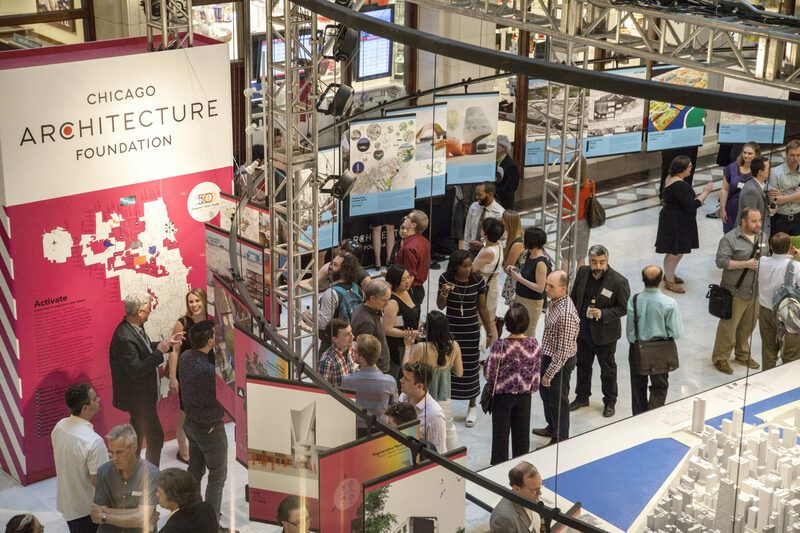 The exhibition was curated by Martin Felsen and Sarah Dunn, co-founders of the Chicago-based office UrbanLab, and Reed Kroloff, CAF’s Senior Advisor for Programs and Industry Collaboration, in addition to CAF. Read more about the exhibit here.